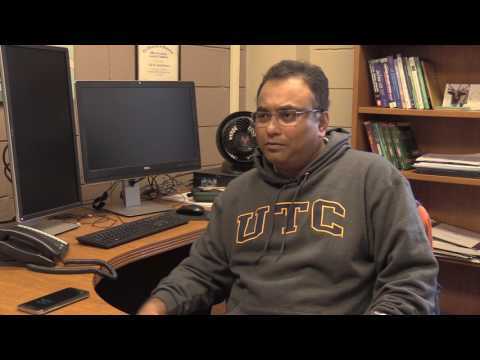 Faculty members describe what drew them to UTC for research, education, and a new campus experience! Part of the UT System, UTC is dedicated to providing competitive salary, 401(k) contributions, a generous amount of annual, sick, and holiday time off. UTC offers several other benefits ranging from discounts to long term disability insurance, plus other benefits provided to all employees within the University of Tennessee system. Additionally, UTC provides education fee waivers you can use at any higher education institution within the University of Tennessee System, Tennessee Board of Regents, or State of Tennessee. In Fall 2015, 439 regular full-time and 288 part-time adjunct faculty members contributed to UTC’s core elements of Teaching, Research, and Service, and our need for quality faculty members continues to grow! Our dedicated faculty members have been featured in numerous news articles, recognized in distinguished academic journals, and received hundreds of thousands of dollars in grant funding for their research projects. Our faculty are committed to continuing research, and are routinely awarded grants that help our university thrive! In fact, UTC is expecting over 6 million dollars in grant awards in the 2017 Fiscal Year. We are proud of all our faculty members who apply for awards, and who continue to work diligently in creating a competitive and inspirational campus for our students! Faculty members receive lots of support from UTC to help them succeed both in and out of the classroom. The Grayson H. Walker Center for Teaching and Education provides Faculty with hands-on training and assistance for faculty members in developing online courses and manage classroom technology to stay on the cutting edge of helping students learn in a multitude of ways as emphasized in UTC’s Strategic Plan. The Walker Center also provides classroom observation services to help faculty members develop their teaching and classroom delivery skills, seminars on how to make instruction materials more accessible for learners with disabilities and improve success with recording grades online, and even provides orientation for both regular and adjunct faculty each semester to assist new UTC faculty members to acclimate to the campus culture. Each year, UTC recognizes our outstanding faculty members on Faculty Honors Day. Members of the faculty are given awards for their outstanding leadership, university service, providing inspiration to students, research conducted, merit, and other contributions to teaching and advising our students. As of Fall 2016, student enrollment grew by 1.3 percent, with an increase in graduate enrollment by 4.5 percent. Average ACT schools are now at an average score of 23.7, and average high school GPA for our students is 3.5. UTC also continues our campus initiative to create programs and service divisions to accommodate and empower our students with disabilities and veterans. In addition, “UTC has also again been ranked among the top Southern master’s level universities in the 2016 U.S. News & World Report Best Colleges rankings. UTC ranked 21st among public master’s level universities in the South, up from last year’s ranking of 24th in the same category,” as stated in a recent release by Communications and Marketing. Considering the growing rate and quality of enrolling students, we need faculty members in our community to help them continue to succeed!